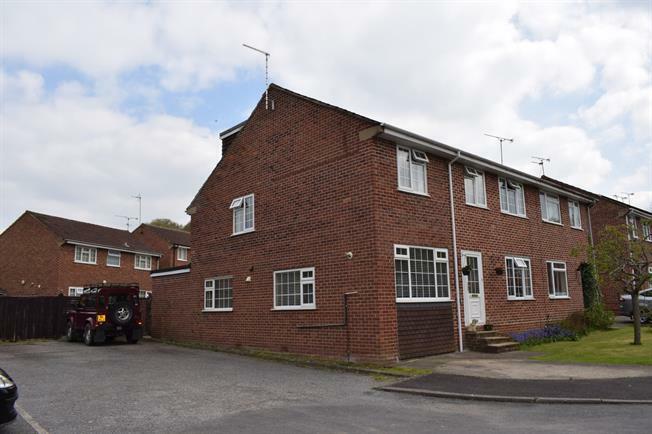 4 Bedroom Semi Detached House For Sale in Yeovil for Offers in excess of £250,000. Upon entering the property you are immediately struck by the light and airy open plan nature of this family home that provides spacious and flexible accommodation throughout. To the ground floor there is a sizeable lounge with wood flooring that opens into the well presented dining room which in turn opens into a large kitchen with stylish units that has a door to a Utility room with WC. To the first floor there are four double bedrooms (with the master benefitting from an en-suite), large loft room and a contemporary family bathroom. The property benefits from off road parking, gas fired central heating, double glazing throughout and additional parking to the side. Internal viewing is highly recommended to appreciate the size of the accommodation and quality of finish. With window to rear, low level WC and pedestal wash hand basin. With chrome heated towel rail, WC, panelled bath with mixer tap, pedestal wash hand basin and fully tiled walls. With window to rear and built in wardrobes. With two windows to front and access to loft hatch which pulls down to reveal a sizeable and useable loft room/storage room. Presented with a stylish suite comprising low level WC, L shaped bath with mixer taps and rainwater shower, vanity sink unit and heated ladder towel rail. Window to rear. To the front of the property is a reasonable sized area that is predominately laid to lawn with a parking area. There is then side access which leads to the fully enclosed rear garden which is laid to patio. There is the added benefit of a large communal parking area to the side of the property.